include all three parties involved. do an arrangement for them. "They weren't used to the style. 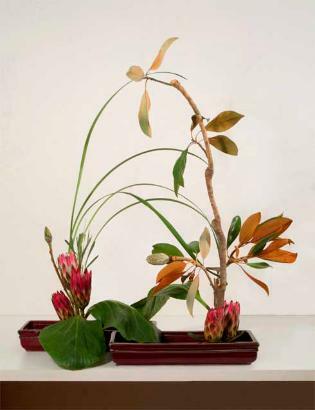 includes magnolia, protea and lily grass.